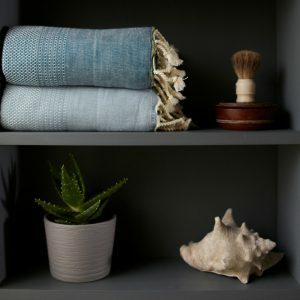 This week as part of my Mums in Business series I’m delighted to feature Anna who set-up Chalk & Moss; a design and lifestyle blog, and homeware shop selling products of biophilic design which means essentially bringing the outside in allowing us to connect with nature – think plants and lots of natural products. Anna loves this approach to design and that’s exactly why she set up her own business, and also to be around her family and children more instead of being stuck on a Southern train (which is also one of the reasons why I decided to leave my own career). Tell me a little bit about you, your background and Chalk and Moss? 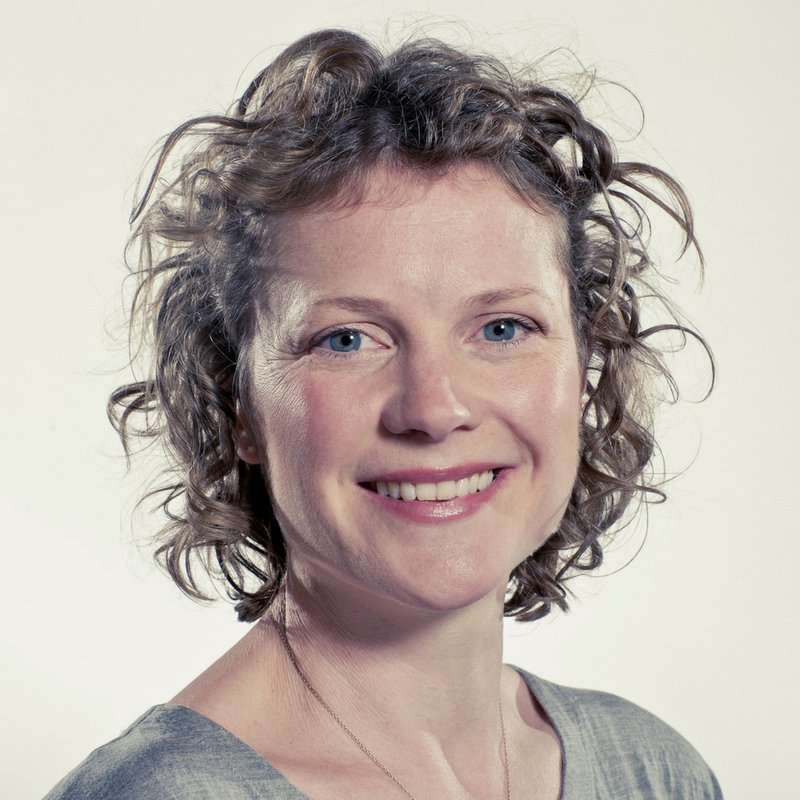 Hi Claire, it’s such a pleasure to be part of your Mums in Business profile series! My name’s Anna Sjostrom Walton, and I’m a UK grown Swede. I live in Shoreham by Sea (near Brighton) with my husband, 9 year old daughter and 7 year old son. I have a huge passion for the great outdoors, how it heals, and how we can bring this goodness into our homes. 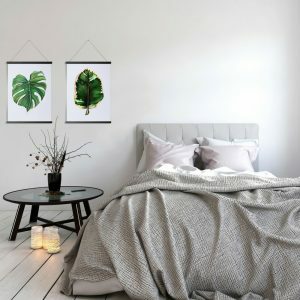 In 2017, I left my job and I started Chalk & Moss; a nature connected design/lifestyle blog and online homeware shop. 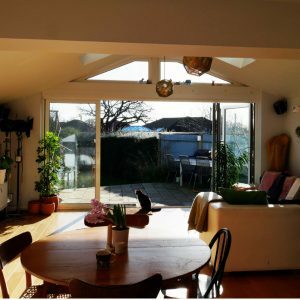 I sell handmade homewares, furniture and lifestyle accessories that connect people with nature, for a happy, creative and productive life. Since I was a little girl I’ve loved visiting ceramics workshop and glass blowing studios, watching how people work with natural, raw materials. I’m fascinated by how our mood is affected by colour, texture, smell and our environment. In my late teens, when I did my first snowboard season in France, I discovered how spending time in nature makes me feel alive, nurturing the mind and soul. What were your drivers and motivations for setting up Chalk and Moss? For the past 20 years I’ve travelled the world, combining my love for outdoor sports and heading up business development and marketing teams in creative industries ranging from video games, to web agencies, and social media platforms for design and interiors. Sometimes I felt my work wasn’t hands on or creative enough. I like being involved in every area of the business, and in the back of my mind I’ve known I wanted to set up my own business. I longed to work directly with handmade homewares and combine this with my love of the outdoors. My interest and studies in interior design lead me to Biophilic Design. This is based on the understanding that we have an innate need to connect with nature for our wellbeing, productivity and creativity. There has been lots of research in corporate environments, showing a 15% increase in these qualities among staff where biophilic principles were used in office design. Hearing about biophilic design was liked a lightbulb moment for me! I suddenly knew what I needed to do. An online shop selling natural homewares would allow me to travel and work anywhere, work directly with products and crafts people, support my beliefs in the power of nature and, importantly, be flexible around my family. Working partly in London and relying on Southern Rail for school pick up was too stressful! 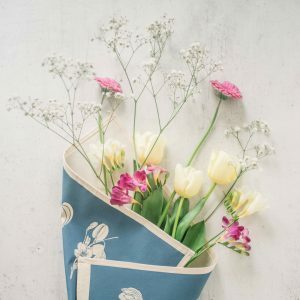 My shop launch was great timing, as botanical design and bringing the outside in (essentially biophilic design) has risen sharply in popularity recently and it looks here to stay. I don’t think the focus on wellbeing is stopping any time soon! My working hours are more fluid now than in the past. In my last job, I worked school hours but I never really switched off, knowing I might get a call from a colleague. Now there may be the odd thing I need to do when I’m with the kids, like respond to comments on Instagram or liaise with the supplier if something urgent comes up. Aside from that I work school hours. My kids know this means that I can be with them every afternoon and every holiday. But I try to keep extras to early mornings and after their bedtime (particularly as my kids have no “screen time”). Having my own business has given me the freedom to choose when, how and where I work. But to be honest, I never feel but there are enough hours in the day! The school day is very short. Ahead of holidays I try to plan ahead as much as possible, writing and scheduling social media and blog posts, and making sure collections in the shop are reasonably up to date. I’ll have contacted press in plenty of time before I go, and planned any events and campaigns for the month following the summer holiday. In previous years I’d take the children back to Sweden for a couple of weeks and my husband (who’s a freelance TV director) would hopefully join us for a week. But in launching Chalk & Moss, we made certain lifestyle choices. We rent our house out on Airbnb and go on a month long road trip around Scandinavia, where I keep up with my work on the road. That’s the trade-off. Finding time to exercise is hard, particularly as my husband commutes to London and gets back late. Previously I felt guilty if I went to yoga class during the day, so rarely did it. Now I plan those classes in, knowing I’ll be more productive if I look after myself. Outside of my weekly yoga class, I try to get some exercise or wellness practise every day like running to school and back, or doing 15 minutes of yoga and meditation at home during the day. At the weekends we’re active, and often go camping. We cycle or hike and then build a big fire to cook on at the campsite. Our little 1978 caravan is our second home! It’s our release from the week gone by. Launching the online shop in December 2017, I was so pleased that every one of the carefully selected suppliers I approached loved the concept and really believed in it. I’m proud that I’ve done everything myself, including teaching myself web design to build my website. I continuously get praise for the website, which makes my stomach flutter every time! I saw a career coach a few years ago which was hugely insightful and valuable. She made me understand what I need from a job, and my own priorities. What I’m doing now is like a description of what came out of those sessions! So I recommend getting to know yourself, what you’re passionate about under and under what circumstances you work well. Do you need do you need a team around you or are you lonesome wolf? Does your work need to fulfil you creatively? Where are your knowledge gaps? Do you need input or confirmation from others? The Myers Briggs personality test is an interesting one to do too. These questions will help you determine what structures, training or support people you might need to put in place. Set goals for yourself and don’t forget personal goals. If you work alone, you need to prioritise carefully. And importantly – passion and work are not mutually exclusive. But make sure that there’s a market for your passion. Thank you so much Anna for taking part in my series, and I wish you and your family all the best for the business in the future. You can find out more about Chalk and Moss by visiting the website, and Anna’s Facebook, Twitter, Pinterest, Instagram and LinkedIn channels. If you would like what you’re reading and would love to be part of my Mums in Business series then just drop me an email: thepramshedblog@gmail.com. Or have a nose at some of the other businesses I have featured in the series: Nutree Life, Spinsonic Circus, and Thumbsie.